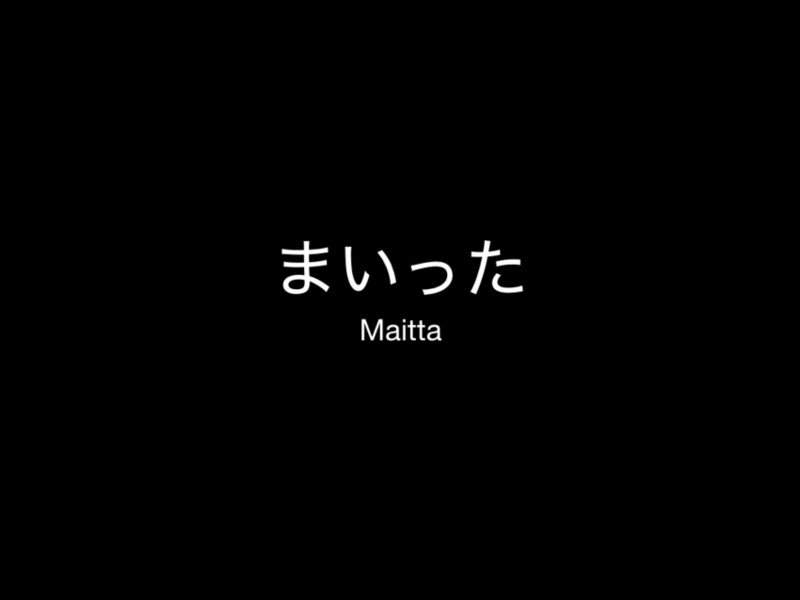 まいった Maita means "You win". In Kendo and other martial arts, if you say まいった ... opponent wins. You also use it like "You win" in conversation. If you say 「まいった　まいった」... this tells people you give up.